One step closer to the Schrodinger's Cat of computers. While several other teams and companies, including computer technology giant IBM, are in on the race towards quantum computing, all the quantum computers presented thus far can only run one type of operation—which is ironic, seeing as quantum computers can theoretically run more operations than there are atoms in the universe. Finally, a team of researchers from the University of Maryland say they have developed the first ever fully programmable and reprogrammable quantum computer. It is made up of just five ytterbium atoms standing as quantum bits or qubits of information, which are electrically charged in a magnetic field. “Until now, there hasn’t been any quantum-computing platform that had the capability to program new algorithms into their system. They’re usually each tailored to attack a particular algorithm,” said study lead author Shantanu Debnath, a quantum physicist and optical engineer at the University of Maryland, College Park. The ions are manipulated using lasers through a process called “optical pumping” in order to set them into the desired quantum energy state. The researchers program and reprogram the ions with a variety of algorithms using lasers to infuse them with precise amounts of energy, which dictates how they interact with each other. The five-qubit quantum computer was tested on three algorithms previous quantum computers were able to execute quickly: the Deutsch-Jozsa algorithm, the Bernstein-Vazirani algorithm, and the quantum Fourier transform algorithm. The system scored 95%, 90%, and 70% in each of the algorithms respectively. While “five qubits” sounds cute—like we’re being taken to a journey back to primitive computer technology, the implications of this development are huge. Quantum computing follows the Schrödinger’s Cat thought experiment which dictates that a particle is simultaneously in all possible states. This means that in quantum computing, every qubit can be in superposition (both one and zero at the same time), unlike the binary system wherein each bit can only be either 1 or 0. This leads to an exponentially faster computing power. Quantum mechanics is a very strange field, and quantum computing is theoretically very powerful, if we only knew how to wield its full capacity. And this development is a huge step forward in realizing that theoretical power and possibly transforming it into something usable. It is a development that gives us a preview of a system that researchers the world over are hoping to turn into the new era for computers. The researchers will be using this new reprogrammable quantum computer for more tests that would hopefully lead to further developments in quantum computing. 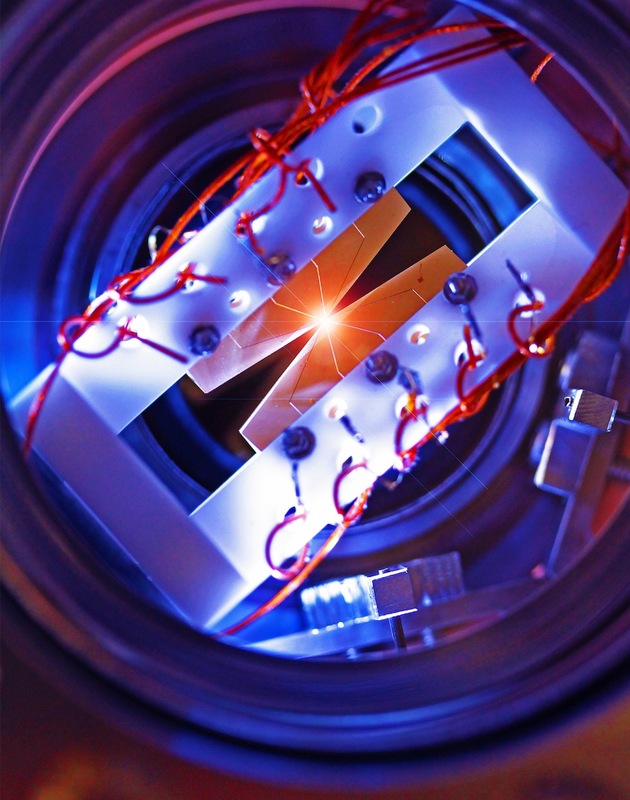 ”We’d like this system to serve as a test bed for examining the challenges of multiqubit operations, and find ways to make them better,” Debnath said.